bjkeefe: You always knew the Republicans could be summed up in a cartoon, right? 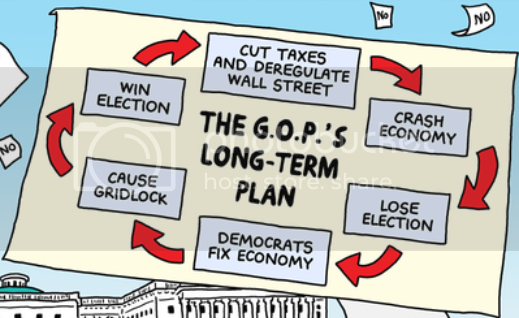 You always knew the Republicans could be summed up in a cartoon, right? An excerpt from Brian McFadden's latest. The Democrats ran Congress when the Economy crashed. And the Economy started to recover when the Republicans took the house.